Hide deals from seller "Swad of India"
Hide deals from category "Indian"
Limit 1 per person and 1 per table. Valid toward dinner menu items. Not valid toward alcohol. Valid Monday-Thursday only. Dine-in only. Promotional value expires 60 days after purchase. 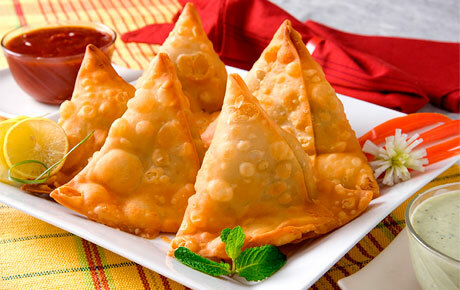 Indulge in exotic culinary delights with 25% off Indian cuisine from Swad of India in Buffalo Grove ($20 value). Enjoy a fun and relaxing dinner in a friendly and comfortable setting. Swad of India recently opened to bring authentic Indian food to the local community. They offer a variety of classic dishes such as tandoori chicken and lamb curry. Swad of India also provides an array of vegetarian options, like chana masala, a dish of chickpeas cooked in a blend of Indian spices. This cozy restaurant also offers an array of appetizers like vegetable samosa, and mouthwatering desserts like kulfi, a traditional Indian ice cream. Treat yourself to a fabulous dinner of savory Indian flavors with this deal. A new restaurant in Buffalo Grove serving fresh, authentic Indian cuisine.